Are you in the market for a new roof? Find just what you need with help from Rite Service, your first destination for "Roofing Done Right." We offer professional roofing installation services in The Woodlands, TX. For over 10 years we've installed asphalt, metal, and flat roofs on homes throughout the area. Call on our team when you're ready for an upgrade, or when your aging or damaged roof needs replacing. If you're unsure whether your older home's roof needs replacing, ask for a free estimate, or simply schedule a roof inspection with our contractors. We'll come by to evaluate your roof from many angles and provide our professional recommendation. Roof replacement is often necessary for many homes; however, if repair is a cost-efficient option, we may recommend that, as well. 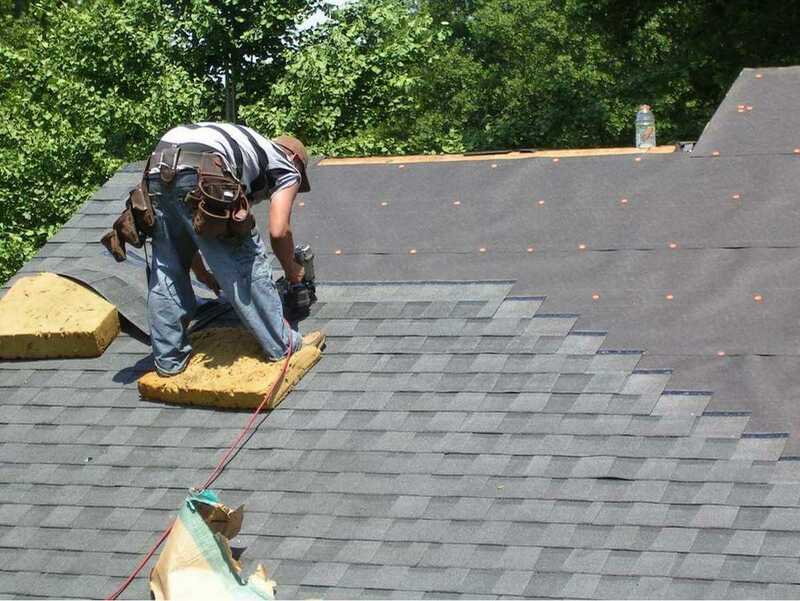 Leave the hard work of roofing installation to insured contractors. Roofing is our passion - that's why we offer services involving many different materials and products. No matter your preference for color, texture, or product, we're capable of handling the installation or replacement process. Each new roof we install comes with our 10-year leak guarantee. Because we prioritize your satisfaction and wellbeing, our roofing installation specialists take their commitment to safety a step further. At the end of each project day, we scour the worksite and retrieve every scrap, tool, and material left behind. Your home is more than an investment - it's your pride and joy. You can rest easy knowing we'll treat it with the respect it deserves. Despite our team's best efforts, there are times when we cannot recommend extremely old and damaged roofs for professional repair. This is because repair sometimes costs more than roof replacement, especially when the damage is severe. You can trust our contractors to let you know when replacement is the cost-efficient choice, as well as when we believe it's the safest choice for your family. Tearing off aging or damaged roofing can be a dangerous process, especially for non-professionals. We care about your safety, as well as that of your family - that's why our team recommends you allow us to handle any roof removal needed during your project. We have the tools and experience needed to navigate unsound or tricky parts of residential roofs, so sit back and let our roofers handle every step.